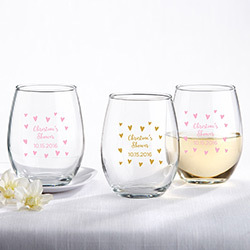 Perfect for baby showers, bridal showers, or bachelorette parties, Kate Aspen's Sweet Heart Personalized 9 oz. 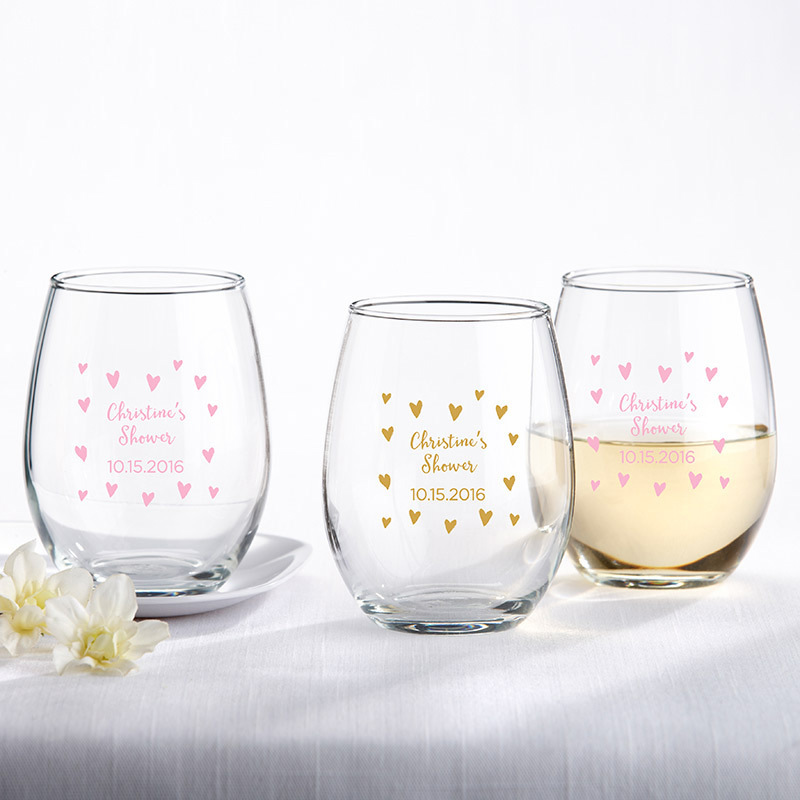 Stemless Wine Glass favor shows off your name and event date front and center on each piece! 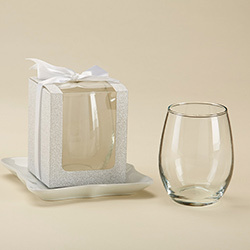 Made without a stem, these wine glass favors are much simpler to transport when compared to traditional wine glasses, and they can be treasured by your guests for years to come. 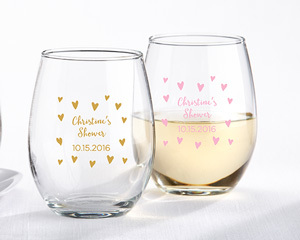 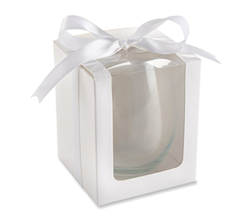 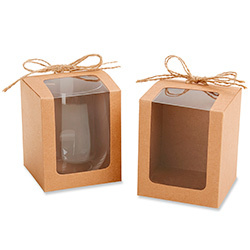 For the perfect commemorative favor to remember your special day forever, look no further!